Important Silver Britannia Mule Surfaces! 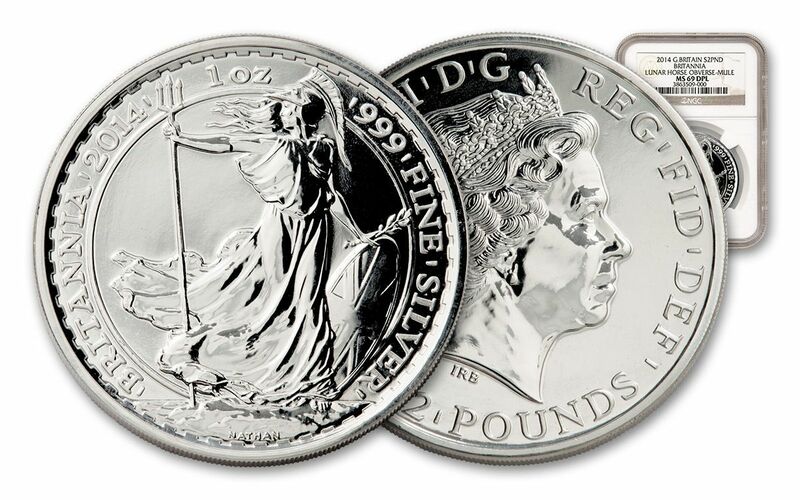 Every year, Britain's Royal Mint strikes its one-ounce Silver Britannia, a coin very similar to our own Silver Eagle. This example grades Mint State-69 Deep Proof Like (MS69 DPL) by Numismatic Guaranty Corporation (NGC). But upon close examination, this coin is revealed to be an incredibly scarce "mule" mint error! A mule is defined as "a coin struck from two dies not originally intended to be used together." 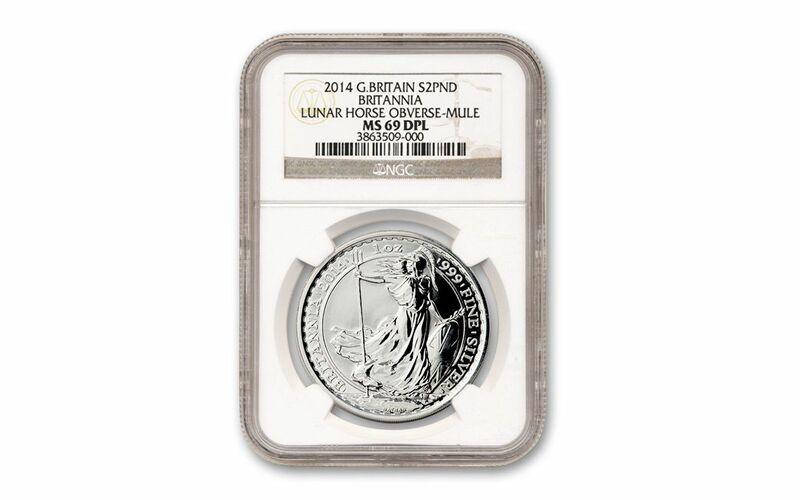 This Britannia mule was struck with the obverse die that was intended for the 2014 One-Ounce Silver Lunar Horse bullion coin, a coin the Royal Mint also released in 2014. 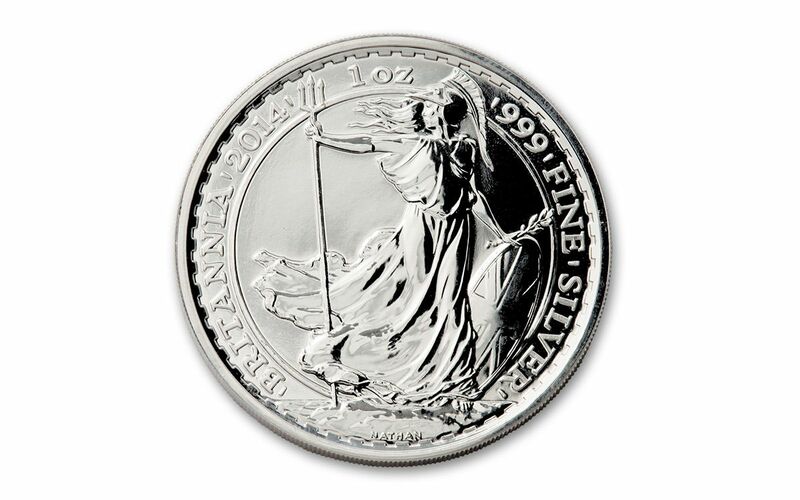 The standard Britannia bullion coin has a design around the edge but these coins do not. It's estimated that only around 17,000 of these mules exist! 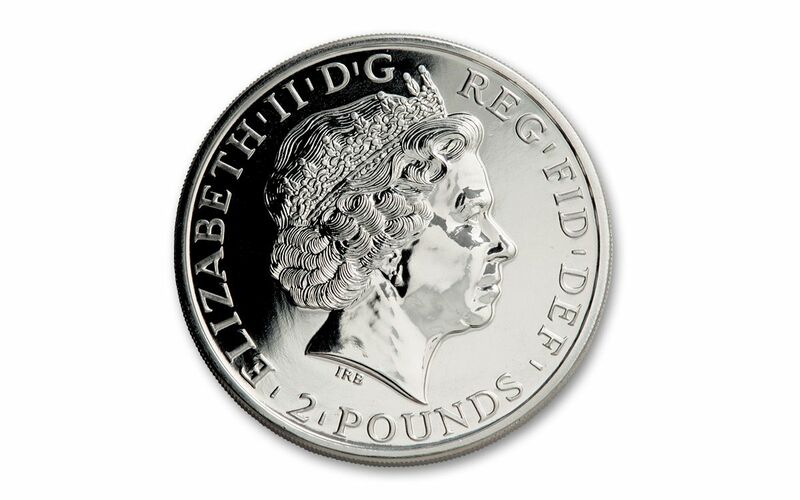 Error collecting is one of the fastest growing areas of numismatics, and a significant error on a worldwide-recognized coin like the Silver Britannia is very important indeed! Add one to your collection before our limited inventory sells out!